Dan S. Kennedy is a strategic advisor, marketing consultant and coach in Phoenix. Jason Marrs is a pricing and marketing strategist who coaches entrepreneurs and professionals in overcoming price reluctance and resistance. He is based in the New York City area. Kennedy and Marrs are the co-authors of No B.S. 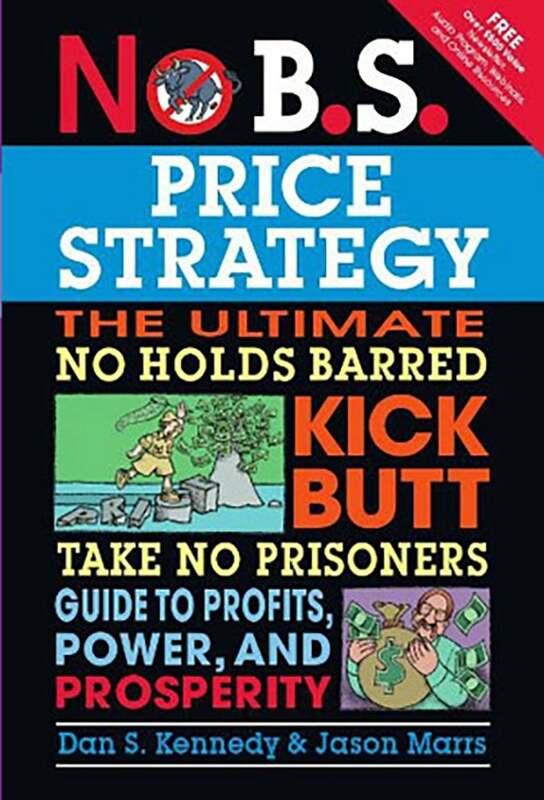 Price Strategy from Entrepreneur Press. Why sales and discounts can cause damage and how to offer breaks without devaluing your products. Charging more for your products and services can be easier than you think. Millionaire maker Dan S. Kennedy and marketing strategist Jason Marrs dare you to re-examine your every belief about pricing and empower you to take a more creative, more effective, bold approach to your price and prosperity. Kennedy and Marrs don't offer little tricks, like new ways to say 50% off, half off, or 2 for 1. They tell you the secret to setting prices for the greatest gain. Then they teach you how to avoid the ultimate price and fee failures like attracting customers who buy by price. You'll discover how to compete with FREE, learn how to discount without damage, and uncover the key to price elasticity. Most importantly, you'll grasp how to use price to your extreme advantage and grant yourself the power to be as profitable as possible. The million-dollar secret behind "FREE"